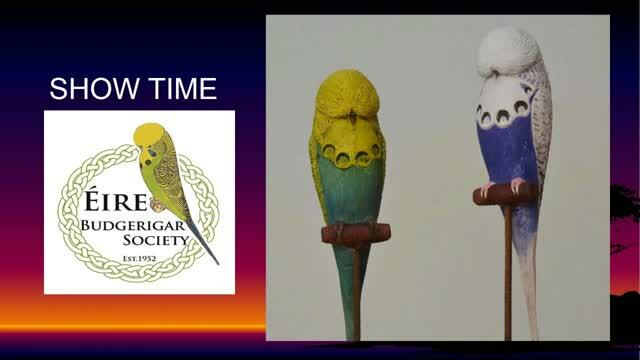 The Éire Budgerigar Society is deeply saddened to announce the death after a short illness of its President and Chairman, Mr Brian McCabe. Brian passed away in the early hours of the 29th of November in the care of the staff at Harold's Cross Hospice, Dublin. Brian loved his hobby for all the right reasons, comradery, a sense of togetherness, a common goal which was for the greater good of the group, as opposed to any form of self-glory. sense of worth to all of us who called him friend. shared in his wonderful company. I am so happy to know how much he enjoyed that special weekend amongst friends, sharing a common interest. Such was the esteem in which he was held, that our club’s Facebook page has been filled with glowing tributes to him, not just from Ireland but also the UK and as far afield as Germany and Austria. Brian will be irreplaceable at the helm. To his wife Bernie, Son Kenneth,Daughter Laura, son in law John and his granddaughters Sophia and Ana we extend our deepest sympathies. Dr Rob Marshall author of what has been described as the finest and most comprehensive book ever written on Budgerigars comes to Ireland next Year, and has kindly offered to give a lecture on specific aspects of Budgerigar health. The committee of the Éire B.S. will work with Dr Rob over the coming year to isolate and identify those certain health issues which affect our birds in our damp and temperate climate. We are grateful to Dr Rob for his kind offer and look forward to him sharing his vast knowledge of the Budgerigar. "The Éire B.S. Leading by Example"